Friday was a night to remember. We finally had our housewarming party--a whole month after moving in. Regardless, it was amazing. I got to see all the friends I hadn't seen since last semester or since the summer. I made new friends. I danced around on our roof deck. And yes, I took some jello shots. 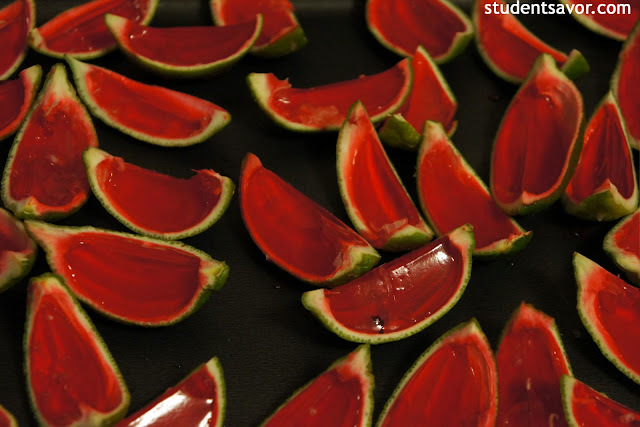 Not just any jello shots. 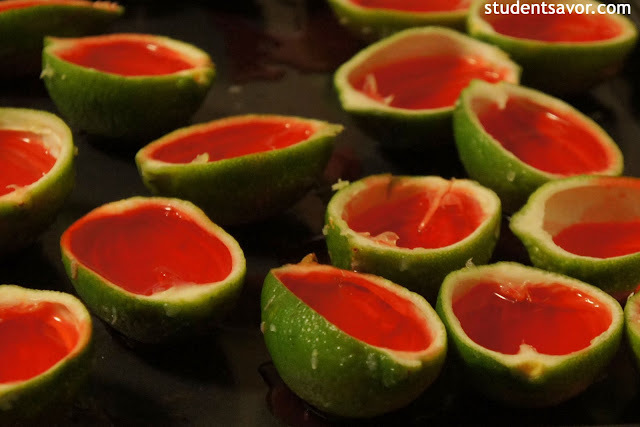 Raspberry-and-vodka-filled-lime-wedge shots. What can I say, they were pretty cool. 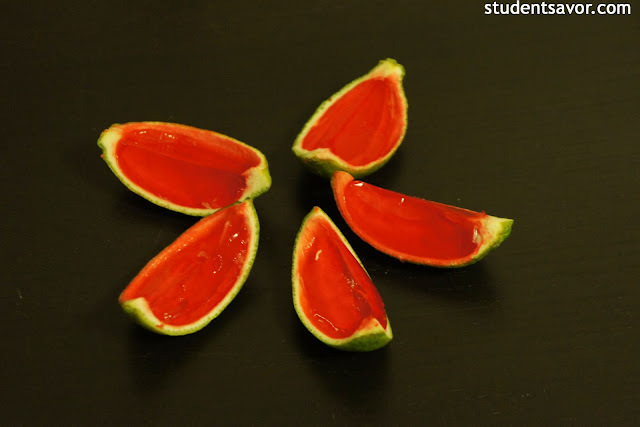 You know that horrible process of having to get the jello shot out of the cup; the plastic breaks or half of the shot stays stuck. Well, with this awesome creation (many thanks to Michelle at That's So Michelle) gets rids of all those complications. What better party treat than cute and colorful hassle-free jello shots! Bring water to a boil. 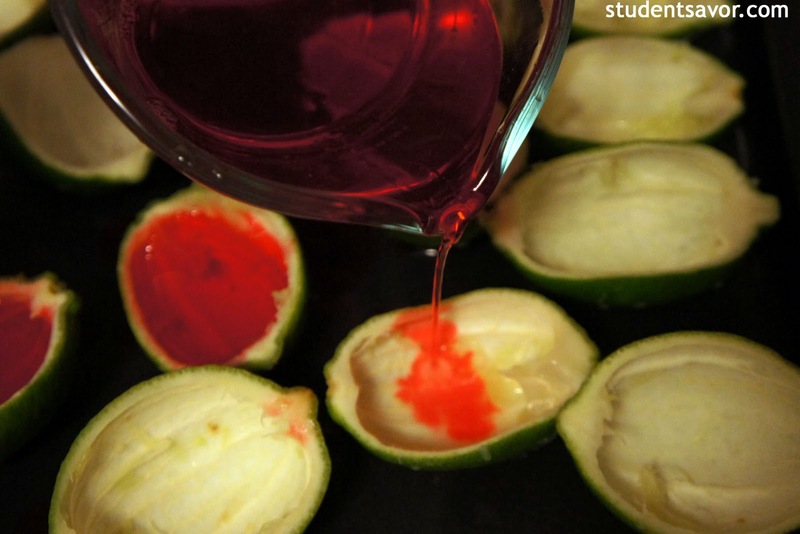 Remove from heat and dissolve jello. Add vodka and stir constantly until well combined. 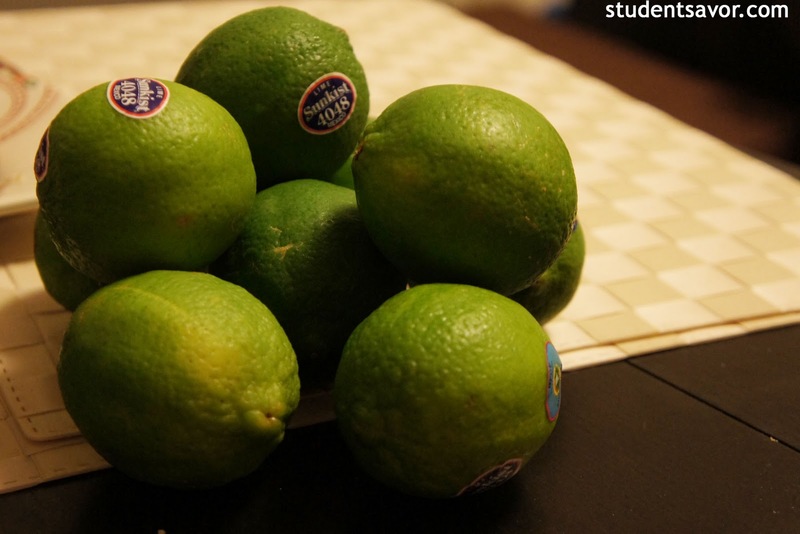 Pour mix into lime halves and place sheet in the refrigerator. Cool overnight. 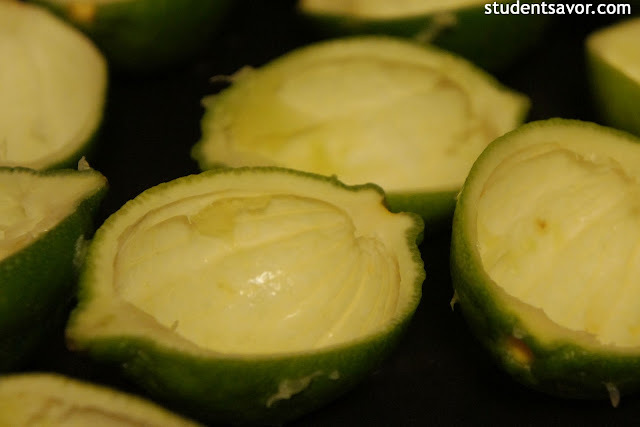 With a sharp knife, carefully slice lime halves in two. Serve immediately.